At EasiFit, we offer a personal and friendly service to take care of all your motoring requirements and our aim is to provide an efficient service at the best possible prices. A car is essential for most people nowadays, and with the running costs combined with general maintenance and repairs increasing all the time, we aim to keep the costs of motoring as low as we can for you. Whether you have a 4 x 4, a luxury car or a small family car, we can take care of the servicing, MOT and general maintenance to keep your vehicle running efficiently throughout the year. An annual service will keep your vehicle running smoothly and efficiently, maintaining all the components of the vehicle so that it is safe and economical to run. We can carry out a service on your car at the lowest price without keeping your car for longer than necessary. 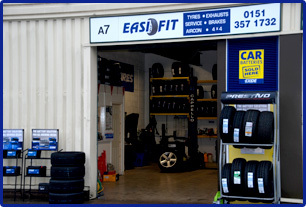 Here at EasiFit, we will carry out at MOT from just £35, saving you money. Whatever you need for your car, no job is too large or too small. Give us a call, or drop in if you’re in the area and we will give you a free estimate. We are a local garage based in a unit at Stanlaw Abbey Business Centre, situated very close to Cheshire Oaks, just a few minutes away from Junction 10 off the M53. We offer a fast, competitive service for all our customers, aiming to save you as much time and money as possible. Call to find out more about our services.